Ellen Annette McArthur (1862-1927) left the bulk of her modest estate to Cambridge University to establish a prize for economic history. She had arrived at Girton College in 1882, gained the equivalent of first class honours in the History Tripos, and began teaching at Girton immediately. She did research with Dr (later Archdeacon) William Cunningham, at a time when graduate work was rare, and they collaborated on a school textbook, Outlines of English Industrial History (1895 and multiple further editions). McArthur published articles in the English Historical Review on medieval wage assessments, an issue of particular concern at the time, and contributed to the first edition of Palgrave's Dictionary of Political Economy. When McArthur was a student and while she was teaching, women were excluded from membership of the university. Trinity College, Dublin offered degrees to the women of Cambridge and Oxford in 1905, and on the basis of her published work, McArthur was the first recipient of the D.Litt. She was the principal historian at Girton until 1907, and was elected a Fellow of the Royal Historical Society in 1906. Probably her best known article today is her last: 'Women petitioners and the long parliament', in English Historical Review (1909). From the turn of the century, McArthur concentrated on teaching, on furthering women's position in university, and on campaigning for the vote. She taught a generation of influential historians: Caroline Skeel, E.M. Leonard, Lilian Knowles, Dorothy George, Alice Radice, Annie Abram, O. Jocelyn Dunlop, and M.G. Jones. McArthur was also involved with other institutions: she was one of the first lecturers at the London School of Economics; she served on the Council of the Cambridge Training College for Teachers (now Hughes Hall); and she was a founding member of the Historical Association to promote the teaching of history in schools. In 1907 she moved institutions to head the History Department at Westfield College. She suffered a serious illness in 1912 and was forced into semi-retirement. When she wrote her will, she must have been optimistic about the prospects of equality in the university: in 1923, women were granted titular degrees and allowed to attend lectures as a right instead of a privilege; in 1926, university teaching posts, prizes, scholarships and studentships were opened to women. 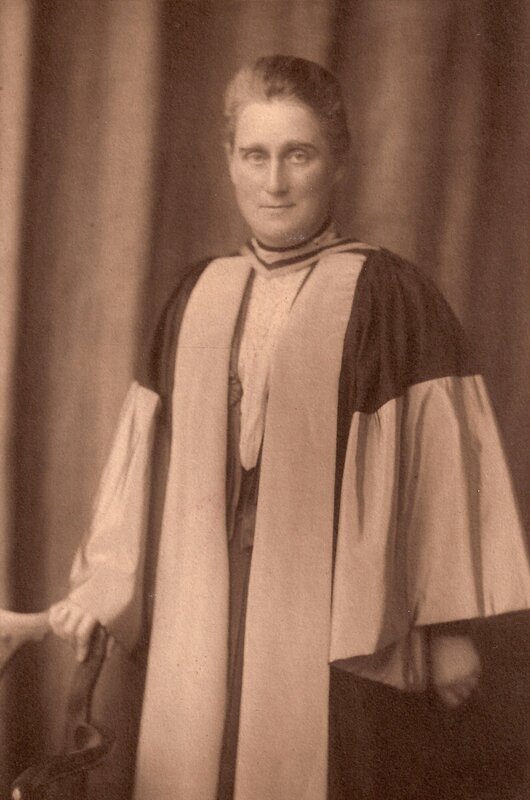 McArthur could not have imagined that women would not become full university members until 1948, or that the patronage system would continue to hamper equality. Many of the Prize essays (until 1973) were published in a special series by Cambridge University Press, which bears McArthur's name. The Ellen McArthur Lectures were established in the 1960s and the Studentships in the early 1970s, with surplus funds accrued from her bequest.